Although the grass is starting to grow and hay becomes more plentiful, it’s still important to contain your feed costs with a hay feeder from Barn World Livestock Supplies. Wasted hay is a common problem that can increase feed expense as wasted hay is money down the drain. 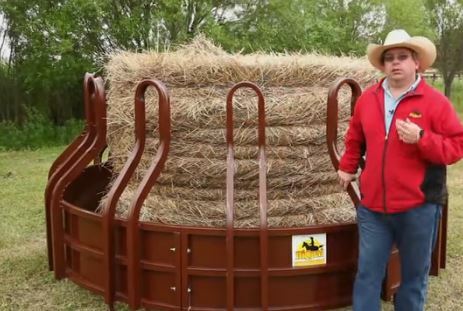 Selecting the proper equine or livestock hay feeder for your animals is not only a simple and effective way to keep costs low and profits up, but it will also save you time refilling and cleaning up the blown-around trampled hay. Make sure you get one before the price of feeding sneaks up on you in the summer months. 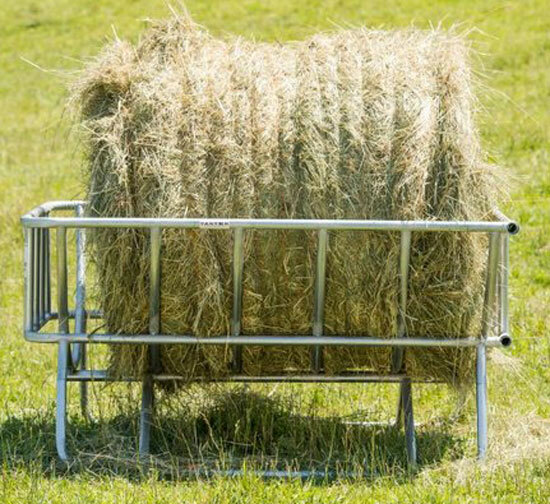 There are many different styles of hay feeders for every budget and all will produce large savings that will allow them to pay for themselves in short order. Designed for everything from large round hay bales, square bales and even as small as feeding individual flakes, there’s a feeder that will minimize waste and provide years of higher profits. Selecting the right one for your animals is quick and easy. Combo, or rack and trough feeders are very popular as they serve a double duty: They suspend the hay for consumption over a trough which can be used to feed supplements and also catch loose hay before it hits the ground. Your animals will easily pull the scraps out of the feed trough and not waste fallen hay. Their versatility allows them to feed both hay and/or grain & minerals when necessary, which is a very convenient feature when supplementing diets and they are available for both round bales and square. Made from a very heavy 2″ x 2″ square 16 gauge tubing, this almost eight foot square feeder stands 72″ tall and is one of the toughest out there. It can accommodate both square and round bales and has an 18 gauge steel pan with rolled edges to avoid any cuts on your cattle. The center is composed of outward angling tubing to keep the hay on the outside where your cattle can reach it. To ensure longevity and make it the toughest around, it is an entirely welded design that contains not nuts and bolts, eliminating wobble and torquing. It’s one solid piece designed to last a lifetime! Along the same design as the combo feeders, the Hay Hopper Round Bale Feeders suspend the hay with chains and come with or without a skirt at the bottom. The skirted hay hopper feeder does will with buffalo and cattle too. It has a large 7′ 6″ inside diameter and is made with 14 gauge, 1-1/4″ square tubing. Built for round bales, it stands 68 inches tall and has 16 feeding stations – a lot of cattle can eat at once! It’s unique chain design allows a large bale to be dropped in from the top for livestock to access below. The steel skirt keeps the wind from blowing around the straw and presents it for easy consumption. 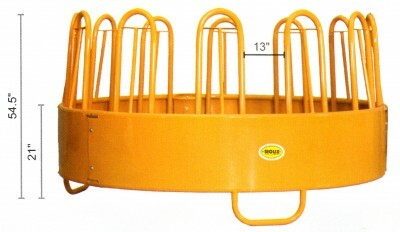 This particular feeder is powder coated and all tubes are either capped sealed to keep water out. 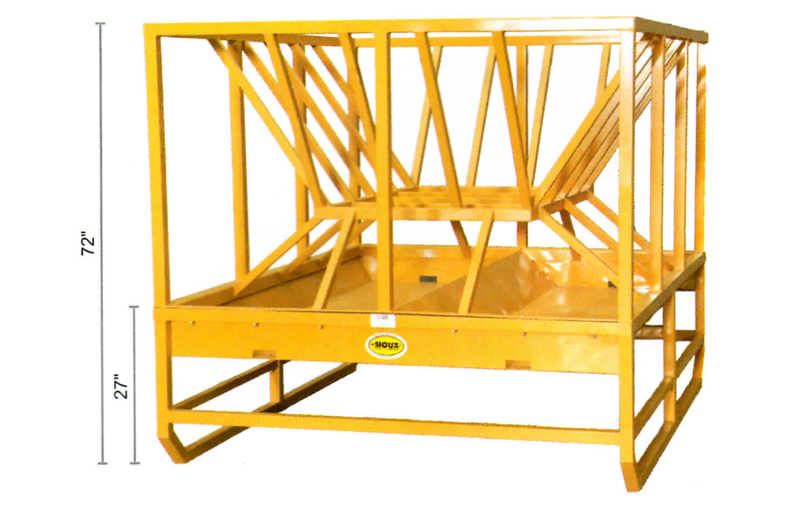 Its bolt together, two-piece design allows this feeder to be easily ship economically throughout the United States. The traditional round bale feeder is made from a steel skirt with a large diameter to accommodate field bales and will have stanchions to separate animals during feeding time. Built to be extremely tough and left out in the elements, these heavy-duty feeders coming in all types of shapes and sizes. The most popular design is of course is round, and usually in an 8 to 9 foot diameter for your largest bales. Below is an example of a round bale feeder with a closed bottom and mud legs to keep the skirt from resting directly on the ground. These feeders are powder coated or galvanized to protect them from rust and are designed to give years of feed savings. Another very tough round bale feeder is the Bull Tuff feeder. The bull tuff round bale feeder is very large and extremely robust with twelve openings and nine mud legs to keep it entirely off the ground. The three-piece design allows it to be shipped very economically. 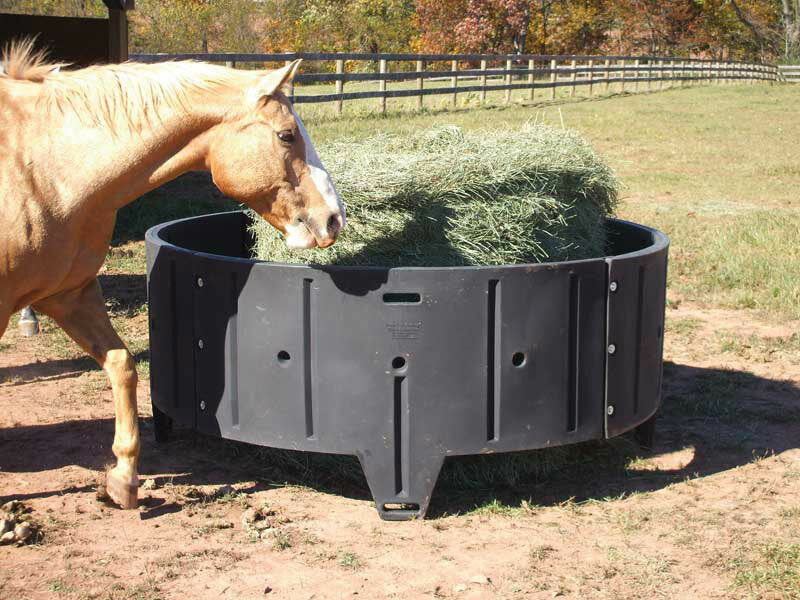 Our most popular for horses is poly round horse hay feeder from Sioux Steel. Designed from the beginning specifically for horses, all of the joints are overlapping to eliminate any kind of sharp edge and all bolts our countersunk into the walls to prevent any cuts or scrapes to equine legs. Extremely easy to maneuver at only 80 pounds, it can be rolled into position and dropped over the round bale quite easily. Once in place, the legs also have the ability to be staked down in high wind areas if necessary. The thoughtful 4-piece design allows it to be shipping in four pieces, keeping shipping costs low and economical to send to send to any of the lower 48 states.